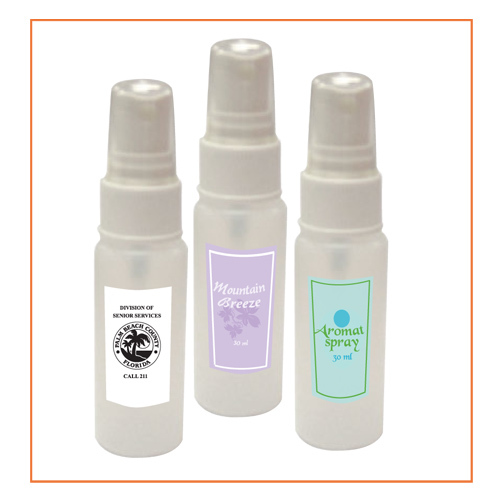 Choose from 13 stock scents to carry in your car or purse to freshen the air. Each bottle contains 30ml of scent. Additional charges for New Car or Pine Scent. Price includes a 4 Color Process Digital Label. Product Size: 4.1" x 1" diameter. Imprint Area: 1.5" x 3". Pantone colors will be converted to CMYK equivalents.